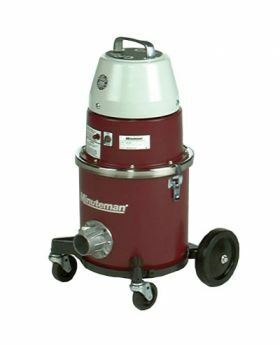 The Minuteman Clean Room Vacuum is designed for use in Controlled Environments. The CRV reduces the incidence of airborne contaminants, including carbon dust from motor-cooling. This 4 gallon dry only vacuum is ideal for use in Class 1 through Class 100,000 cleanrooms, growing areas and air showers in all pharmaceutical labs, medical devices manufacturers, biological labs and computer rooms. Trust the Minuteman Clean Room Vacuum to be an intricate part of your facility cleaning procedures.